Have you ever looked in your closet brimming with clothes and thought “I’ve got so many clothes but nothing to wear! !” Firstly, you’re not alone. Secondly, there is a solution to your problem, and it’s called a Capsule Closet! 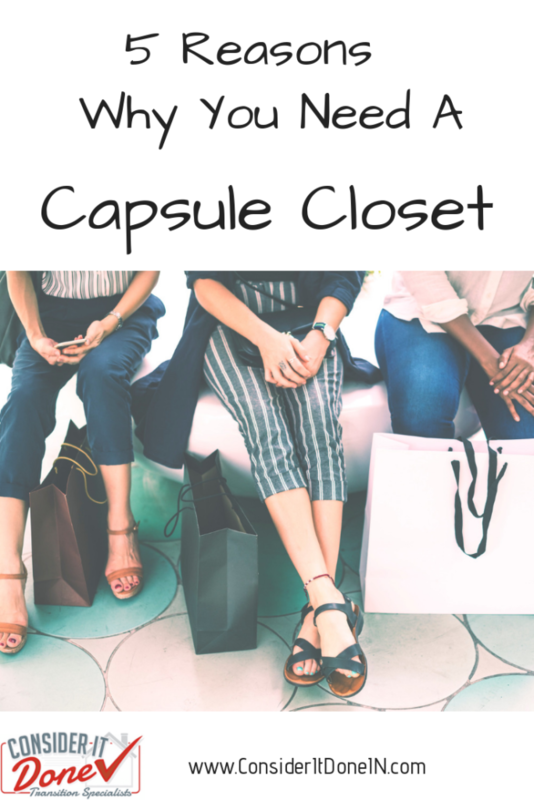 Today I’m going to let you know the 5 reasons why you need to implement a capsule closet, and how to get started. The concept of the Capsule Closet has been around since the 1970’s, but it’s become popular again as more and more of us are becoming frustrated living with so much clutter. In essence, a capsule closet is a simplified collection of classic clothes, which you supplement with different pieces as the seasons change. This is a 25 piece wardrobe which will allow you to mix and match different items together to create several different outfits. Now, while this does look beautiful, you don’t need to go out and buy all these pieces to start your capsule. There are no hard and fast rules to implementing a Capsule Closet, so start small and implement what works best for you. How Do I CREATE A CAPSULE CLOSET? A good first step is to review your current closet and make some decisions about the clothes you have right now. Paring down can be tough, but it will be so worth it – I promise! Have I worn this item in the last year? Has it needed a repair for more than a year? Do I feel good when I’m wearing this? If the answer to any of these questions is ‘No’, there’s a good chance you won’t miss having this piece. If you have something you’re not likely to wear, but can’t bear to let go of, then put it aside for storage. If you have clothes that you might wear next season, but not right now, then you can put those aside for storage too. Once you’ve done this for everything in your closet, you should find that you’re left with a much smaller collection of clothes – and each of these pieces should be something you’d be happy and comfortable wearing. The goal of a Capsule Closet is to contain pieces that coordinate together so you can create mix-n-match outfits. 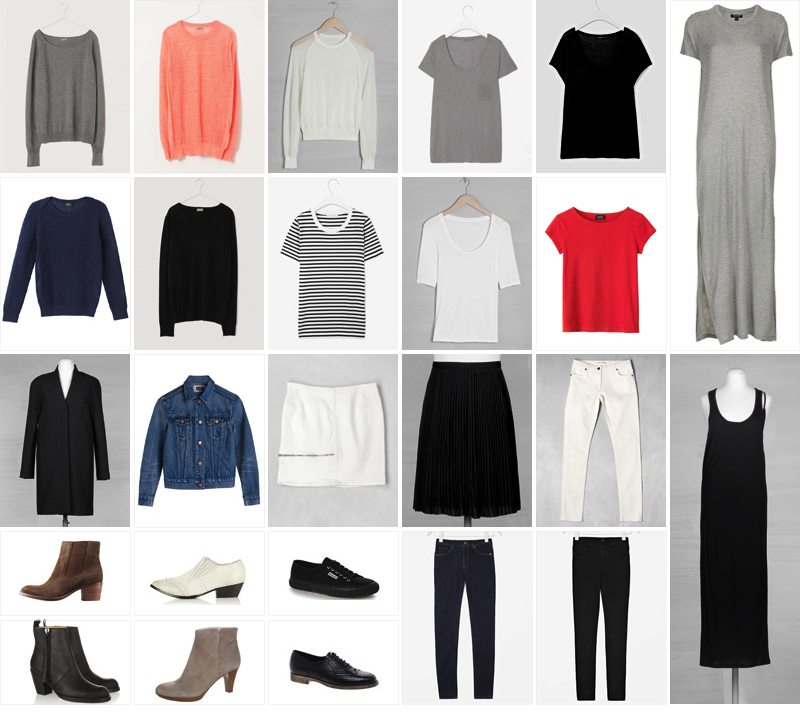 Don’t worry if you’re closet is not totally coordinated straight away. 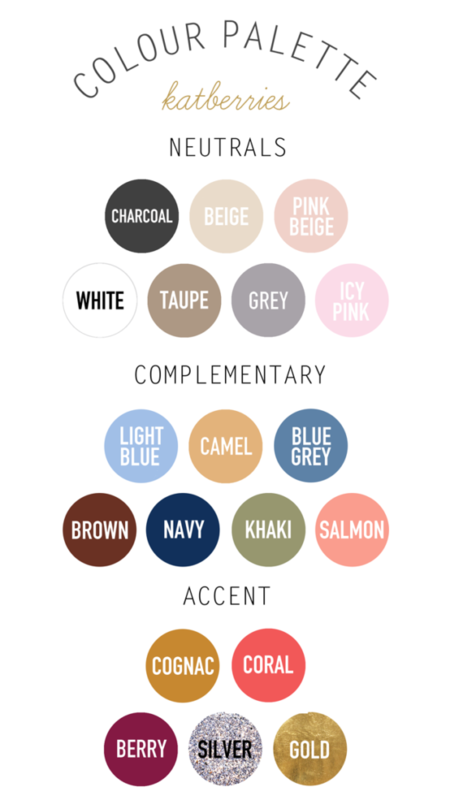 It is a good idea to think of a few neutrals and colors that you love though, and if you need a new item, purchase something that’s going to fit in with your capsule. Type Capsule Closet Palette into Google or Pinterest and you will find tons of inspiration. Here’s a lovely palette example from KatBerries.com that would be great for fall. You can easily see and access all your clothing items in your closet. There’s much fewer pieces and more space to see your clothes. Finding something to wear is a lot less stressful. You know you feel good in everything you have available to you, and your clothes coordinate with one another. You’ll save time getting dressed. You’ll have less decision fatigue, you can grab, go and know you’ll look and feel great! You’ll save money buying clothes you don’t need. If you’re local to Bloomington, IN, I’ll be hosting a fundraising workshop on Oct 16th at My Sister’s Closet. 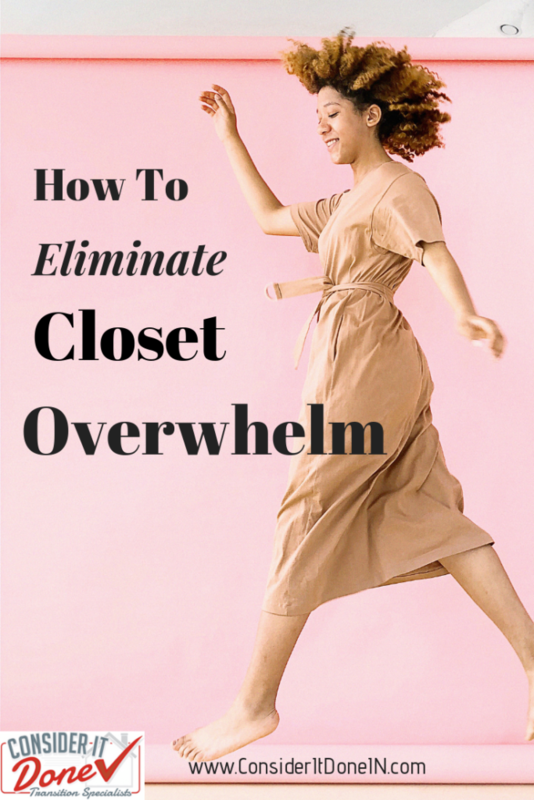 The event is titled ‘Love Your Closet!’, and I’ll be diving into closet organization, along with more practical examples of implementing a Capsule Closet. You can find more details and get your ticket right HERE – all proceeds go to My Sister’s Closet relocation fund! Don’t forget, I offer Free Consultations! If you’re looking for help organizing your closet or any other part of your home. Just complete this form and I’ll be in touch!